One of the highlights of this year’s OUT Twin Cities Film Festival is The Main, a Minnesota-made 72-minute documentary by director Julie Casper Roth. Up for the $400 best feature award, it screens June 2, 1 PM, at St. Anthony Main Theatre, 115 Main Street Southeast, Minneapolis. This year, The Main Club, which debuted in 1983 as the first openly gay bar in the Northland, is celebrating three decades of serving the GLBT community in the Twin Ports of Superior, Wisconsin, and Duluth, Minnesota. 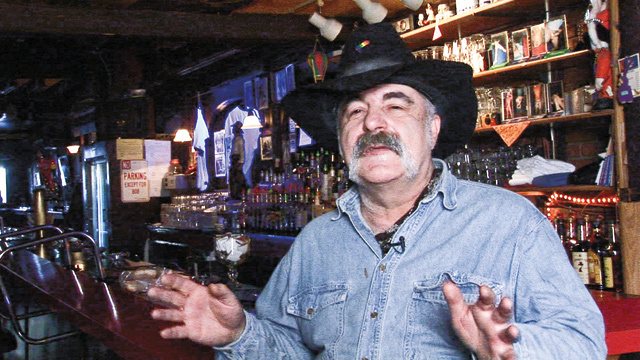 Owner Bob Jansen launched this popular establishment with settlement money from a lawsuit against the Roman Catholic College of St. Scholastica in Duluth, which had fired him for being gay. Since then, The Main, perennially the most popular community gathering place for the Twin Ports and surrounding area, has channeled thousands of dollars to various Northland organizations through a bevy of fundraisers. After 30 colorful years of owning the venerable bar, Jansen is ready to turn over the keys to someone new. He encourages anyone interested in acquiring this mainstay who has sufficient capital to contact him at the bar. Even when he is no longer at the helm, however, Jansen certainly will continue his many years of gay activism.